Posted June 27, 2018 by Josette Farrell in News. Team Connaught have returned home with a haul of311 medals from the 2018 Special Olympics Ireland Games in Dublin. Some 221 local Team Connaught athletes competed in the Special Olympics Ireland Games between Friday 15th and Sunday 17th June. A total of 1600 athletes from the four corners of Ireland took part in the Games, which are one of the largest and most prestigious sporting events to take place in Ireland in 2018. Connaught athletes competed in 13 sports and Motor Activities Training, including Athletics, Aquatics, Badminton, Basketball, Bocce, Bowling, Equestrian, Football, Golf, Gymnastics, Kayaking, Pitch & Putt and Table Tennis. Team Connaught won 311 medals (150 gold; 92 silver and 69 bronze), alongside countless fourth and fifth place finishes, participation ribbons and personal bests at the Games, which concluded in Dublin on Sunday (17th June). Roscommon swimmer, Aoife Hegarty, who was selected as a flag bearer for the Opening Ceremony of the Games, was amongst the region’s champions, claiming gold and two bronze medals in aquatics, while gymnast John Keenan, 18, from Ballymore, Co. Westmeath, who was chosen as the region’s torch bearer for the Opening Ceremony, won two gold and one silver medal in artistic gymnastics. 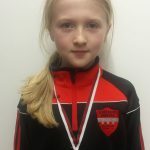 Meanwhile, Team Connaught’s youngest athletes, both aged 10, had an impressive first Games; Harry Hasson from Moate, Co. Westmeath won gold in standing long jump and silver in the 50M run while Maeve Walsh from Rosscahill, Co. Galway won silver in artistic gymnastics (floor). 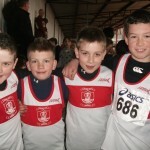 A total of 2,144 medals (959 gold, 667 silver and 518 bronze) were awarded over the course of the four-day residential Games, with countless personal bests achieved by athletes from each of the five regions – Connaught, Eastern, Leinster, Munster and Ulster. Athletes competed in 13 sports and Motor Activities Training, including Athletics, Aquatics, Badminton, Basketball, Bocce, Bowling, Equestrian, Football, Golf, Gymnastics, Kayaking, Pitch & Putt and Table Tennis. Commenting as the Games drew to a close, Matt English, CEO, Special Olympics Ireland said:“The 2018 Special Olympics Ireland Games were a huge success and on behalf of the organisation, I would like to thank our athletes for their incredible commitment, energy and enthusiasm; not just over the course of the three days but over the many months that they have been preparing and training for these Games. 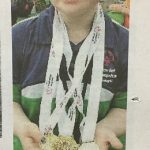 “Myra Merrick, regional director for Special Olympics Connaught said:“Our congratulations go to all of the athletes that took part and represented Connaught so well over the course of Games – we’re so proud of each and every one of them. For many of our Team Connaught athletes, the 2018 Special Olympics Ireland Games in Dublin were their first chance to compete on a national stage; to represent their region at these prestigious Games is, in itself, a phenomenal achievement. The 2018 Games were supported by 600 coaches and official delegates and 2,500 volunteers, with thousands of spectators turning out to cheer on athletes in venues across Dublin.